One of the most frustrating aspects of hiring great people to my team was poor timing, or so I thought. It seemed the second I started to look for amazing people to join my team, the talent pool got “unusually” empty all of a sudden. What follows is a guest post by Oren Ellenbogen, author of Leading Snowflakes, The Engineering Manager Handbook and curator of the Software Lead Weekly newsletter. If you think “I’m not hiring at the moment, so why bother?”, you’re going to hit the wall soon enough. Building a brand to help hire someone six months from now is just not as urgent or tangible as releasing a new feature. The problem is what’s urgent is often the enemy of what’s important; just look at your product backlog. No wonder why every time we want to start recruiting, we panic. If there is one thing I’ve learned in the past eight years, is that you’re always hiring, and you should start acting accordingly. There is no magic “hiring mode” switch to turn on. There is just us, and what we can offer to a talented individual out there. In this post I want to dive deeper into how you can leverage your existing team and knowledge to attract better engineering talent. This notion of “Outbound vs Inbound” came from marketing. Put simply outbound recruiting refers to a direct reach from our side to the candidate’s. It can be a phone call, a LinkedIn message or simply approaching someone in a conference to see if you can convince them to join. We are the active part of this dialog. The second we stop being active is also the second we stop getting new people into our recruitment pipeline. 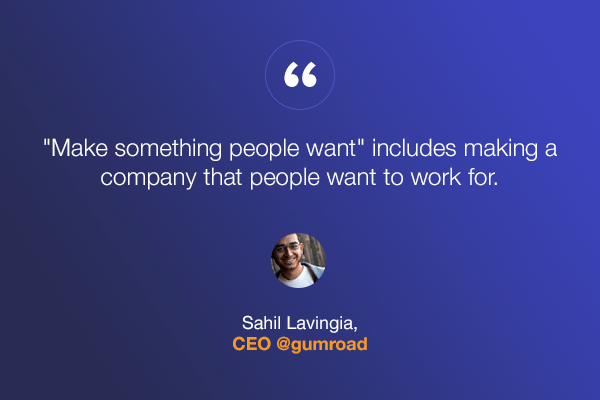 Inbound Recruiting focuses on building relationships with future candidates. It works by investing time in content, talks and projects your future candidates will find appealing. Or, as most of us deal with it, posting more photos to Facebook from our last company’s trip or event. But it’s much more than that. Many people reach out to Google asking to apply for a job there. It happens because Google built a brand of top talent, with an amazingly unique technology and mission statement. People want to be a part of this brand. Companies that built a brand over time, still benefit from an unfair advantage of talent available to them: Google, GitHub, Twitter, Facebook, Dropbox, LinkedIn, Quora, Intercom, Etsy and the list goes on and on. All of these companies have already made it, so no wonder people are drawn to them like magnets, right? But these companies became successful due to their ability to attract talent in their early days. Instagram talked about their unique infrastructure and lessons learned a year before they were acquired by Facebook for $1 billion. GitHub shared how they work as a distributed team more than 2 years before raising $100 million to change the world. Facebook pinned job postings at Standford’s campus to build awareness and find top engineers for their small startup many years before their IPO. If we’re lucky, building a great brand will enable us to hire amazing people which will help us to iterate and build a scalable business. The best companies out there are hugely successful because they already know that. Over the years, I found a few tactics that worked quite well for me. It wasn’t always a clear win, but it made an impact. It didn’t make hiring easy or simple, but it made us visible and people were talking about us. This gave us a chance to reach out to people, to start a dialog. When I did something extremely well, people reached out to me. Sometimes, a short random dialog is all you need to hire a great future teammate. You don’t have to rush and start a blog. Just be helpful. Pick topics you feel comfortable with and invest a full hour to help out at StackOverflow, Quora, GrowthHackers or any other website where you can contribute your time and expertise. One hour a week is a small portion of your time, but the value added over time can be a game changer. – By using the console.log or simply as plain HTML. – As a 404 page. My all-time favorite: http://www.masswerk.at/404. – As a small hidden message inside your logo: it can be by using your own logo to convey a hidden message (examples), or by injecting a very small vector that only curious people will find. Be playful. – Use Cornify in a secret page in your website or build your own “geekify” concept. Many people stop themselves from writing guest posts because they believe what they know is “common knowledge”. You’d be surprised how much you can teach and people want to learn. Did you recently try a new technology and have something to say about it? Have a few tips you can share about building an amazing team? Maybe used a growth hack tactic only to find out it doesn’t work on your type of product? Or maybe you use Trello in a different way to manage your project or team? Go over the things you’ve talked about at lunchtime during the past three months. Then seek out a blog you usually read, and hopefully your candidates too, and ask them to publish your content. You’d be surprised how common it is, as there is a mutual benefit for you and the blog’s owner. They already have the audience, use it. Making your employees happy is important, not just for the sake of day-to-day work, but also for marketing. After all, when someone asks them “where do you work?”, you want them to be proud of it. But it’s not enough as it won’t make you stand out as a company. You need to step our game up. Occasionally, invest some extra time to build a website (here is what we did at my current startup) or an awesome video to celebrate a teammate’s birthday. Just make sure to share it with the world to get people excited and talk about it. It’s the little stuff that matters most. Instead of spending $2,000 on a referral program, why not invest it in hosting a hackathon to promote something you are passionate about. If your team happens to be a huge fanatic of robotics (so what if they’re currently developing an iOS app? ), then set up a hackathon on that theme. The theme can help you to attract people who don’t know you yet but are passionate about that topic. Hackathons are a great way to introduce potential candidates to the team, and show them what it feels like to work at your office. Make sure to document and record the event. The material – videos, photos and products built during that day – are great content you can use on your blog or even contribute as open-source projects. It’s time to open meetup.com and look for nearby Meetups you believe your future employees attend today. Prepare a 30-minute talk based on a guest post you wrote or a scenario you were facing at work. Practice it internally and keep it short, especially if it’s your first time as a speaker. The real power of giving a talk is that it’s easy to reuse in multiple events, so write down three or four Meetups you think are relevant and send your talk to the organizers. People tend to connect faces to companies, so there is no better way to earn credibility for the company than sharing lessons learned and providing value to your audience. Side-projects are a great way to create buzz around the people in the company, as it says a lot about your passion for building. Unlike releasing code to open-source projects, side-projects are often easier as they don’t require you to invest in documentation or supporting the project for the long run. People could fill their teammates’ StackOverflow/GitHub/Quora usernames and it will automatically generate a widget they can use in their “about” or “jobs” page. Once it’s up, publish it to Hacker News and LinkedIn, and see if people find it useful. Adding a simple “Powered by [Company Name]” to it would bring a lot of good vibe around your brand. It can be a tool you’re using internally in the company, or even something you’ve made just for the sake of helping out. Just look at what AppSumo did with How I Got My First 3 Customers or Qualaroo with GrowthHackers, even though it’s not a part of their core business. Can you think of tools you developed internally to get your work a bit easier, that you can push as an open source project? Make sure it appears in your jobs page (this is where future candidates would go), so people will know you’re passionate about contributing to open-source projects. Some examples include Netflix’s Chaos Monkey and Etsy’s deployinator (also, check Etsy’s open-source projects page). If you believe that your best future employees are ones who love to solve puzzles and enjoy a good hack, then prepare one for them. Quora, Stripe and Dropbox released challenges that lead to great exposure. While there is a large amount of effort required for these sort of challenges, you can create a relationship with the people who try to solve it. – Consult with your teammates – what would they feel comfortable starting with? Make commitments and track weekly time investments of 1 hour per week to start with. – Open a wiki page or use a whiteboard to brainstorm ideas the team can invest in, to create better branding. – Pick one or two suggestions every month and plan time for it as part of your schedule. The idea here is to consistently invest in it, so the team get used to it. – Talk with your boss and with HR (if you have one) – can you invest some of the budget into an interesting hackathon? – If you want to give a talk or help one of your teammates to come up with one, check out Speaking.io (by the talented Zach Holman) to practice your skills. Attracting great engineers is just one aspect of building a great engineering team. If you’d like to learn more strategies and techniques to improve your leadership skills, Oren is offering readers of Inside Intercom a 20% discount on his new book and video interviews – Leading Snowflakes: The Engineering Manager Handbook. You can grab it here.